Stop making excuses for why your dog doesnt listen. Even make it fun! Your dog wants a good boss: learn to assume the leadership position. Expand your dogs comfort area. Be very clear - black and white - about what behavior is expected, and what is not acceptable. Teach your dog to use the thinking - not the reactive - side of his brain. Train by making the right thing easy and the wrong thing difficult. All of these people found success in fixing various types of behavioral problems using techniques they, and their dogs, were comfortable with. Some of them may reflect similar problems you may experience with your dog. I thank them for sharing their stories. A few months ago (years ago now), Daisy and I started a series of one-on-one lessons with Lisa, and now I never want to stop! Daisy is a therapy dog, and the “problem” I was noticing is that she loves her job too much. She was way too eager and excited, and didn't understand that not every member of the human race needs therapy! By working closely with Lisa, I have now learned a much better approach to “thinking dog” and it has all been in a completely 100% positive manner. That was very important to me. I firmly believe that dogs (any animal really) should never be treated negatively, and unfortunately so many trainers use disciplinary (and sometimes downright cruel) methods of training. With Lisa, we became a team - not leader and follower. And that is so wonderful! Daisy and I now communicate better than we ever have in the past, and I definitely see this improving as time goes by. Dory and I started training with Lisa In 2008. My concern with Dory was that she was very nervous and uncomfortable around other people and dogs, especially small children. We took one private lesson with Lisa, in which I learned an incredible amount of information about dog behavior, and the reasons for Dory's behavior. Lisa told me that Dory had fear aggression, meaning that, when she gets scared, her first reaction is to show aggression. The best thing for Dory would be to expose her to as many things as possible (in a very specific way) to desensitize her to the many things that make her nervous. Another goal was to make her "think" instead of "react". Shortly thereafter, we started obedience class, first with beginner, then intermediate. To my surprise Dory immediately showed much improvement. Being exposed to different dogs and people (in a controlled environment) has really helped her alot. I also learned alot about the way I act, and how that affects her mood or behavior in different situations. Most of dog training is actually more about training the human than the dog! Dory and I have been involved in weight pulling since September (2008), and she has really excelled at it! It is great exercise which lets out a lot of energy. Weight pulling is a dog sport that Dory and I have adopted (as a form of "behavioral physical conditioning") and she I have had a lot of fun with. It has really helped build her confidence and trust in me. We have even participated in the weight pull competitions for several years now, and I am really proud of how well she does! We have also taken agility classes and earned ribbons in several agility trials. This is another dog sport that we are really enjoying! All of these experiences have been amazing for Dory's progress. She is a much better behaved dog and is much less reactive than she used to be. She has learned to ignore situations that used to make her nervous. Lisa has taught me to "think dog" and understand dog behavior much more than I have in the past! And I still continue to learn more with each class I take. Dory and I communicate much better now and have a much closer relationship! I like Lisa's methods of training because it's based on positive reinforcement, not punishment. Dogs do what works! I would highly recommend Canine Culture to anyone considering any kind of dog training! I'd always figured that I was fairly savvy when it came to dogs. I grew up around animals and I've always had horses, dogs, cats, and other small pets. Then along came Billy. Billy was ten months old when he came to live with us. Upon his arrival he tore through our house like a wild maniac, flying through the air, jumping over furniture, and knocking over lamps. To make matters worse he was afraid of everything! He was terrified and terrorizing all at the same time. What had I gotten myself into? I quickly realized that those 4-H dog obedience classes I had taken a few decades earlier weren't going to cut it with this guy. I was going to need professional help. Luckily fate intervened and I met Lisa at our first visit to the vet. It is hard to express in words my gratitude to Lisa at Canine Culture for all of the help and guidance they've given me to help Billy enjoy life and showing me what a world of fun there is to be had with this very special, super energetic dog. It's hard to believe everything that we've accomplished in a relatively short period of time. We started with obedience classes and mastered a few basic skills, and it is reassuring to Billy, when he knows what he is expected to do in certain situations. The training methods used at Canine Culture are all positive and involve marking the wanted behavior with a word reinforcing that communication with your dog. Lisa is a fantastic (and very patient) teacher and are always able offer a variety of options for dealing with each training situation until you find what works for you. I attended one of the Learning Training seminars at Canine Culture. The class was super-informative and a real eye-opener (and fun). I recommend the seminars for anyone who loves dogs. And then, Billy and I tried weightpulling. I'll admit that at first I was skeptical. I had a notion that weight pulling was reserved for draught horses and tractors. But the calming effect it has on Billy is amazing. It turns out that certain dogs really need some sort of outlet for the excess energy, and weightpulling does the trick in a relatively short period of time without a lot of excitement and running around, and its fun. Now Billy has his own harness and he happily helps me with barn chores and hauling things around the yard; it's important to keep him busy and now he has a job. Billy loves agility class. His acrobatic-furniture-hopping antics are now directed into a fun, acceptable activity. I can remember watching agility competitions on TV and thinking how exciting it looked. I never dreamed that one day I would be involved as a team with my dog learning to navigate an agility course. Thanks to Canine Culture I'm actually doing that too, and we're having a blast! There are so many exciting things I've been exposed to since I've been coming to Canine Culture: like finding out about all the cool new 'educational' dog toys that are available to occupy your dog's time and make them think; and what to do and what not to do when your dog is nervous and afraid and how to deal with lots of other behavior issues; to discovering all kinds of great activities you can do with your dog. Plus I've met lots of wonderful, responsible dog owners and their dogs. It seems that the more I learn at Canine Culture the more I find there is to know. I would like you to meet my Bulldog, Loo Loo the Choo Choo. She is 2 years old (2009 at the time this was written) and this is her story..........We got Loo from Missouri. My husband and I have always wanted a “bullie” and after a lot of research we found a small breeder that had what we were looking for. She arrived on a Delta flight, and so our journey began. Everything was great for about 1 1/2 years. Loo found her place in our home and our heart. She latched on to my other dog a black lab named Marty. They were inseparable, best of pals. After a while Loo started showing signs of being “bossy” . Then bossy turned to controlling, and that snowballed straight into aggression. She would attack her “brother” for no apparent reason. Right out of the blue with no warning that we could see at the time. For instance, she wasn't chewing a bone or they weren't playing and someone got a little rough. I am talking she could be sleeping on the couch and just of a sudden bolt off it and attack him. Or he could be laying on the floor and she would enter a room and just “BAM! !” it would happen. This started out gradually over time. It would happen once in a while then it became more frequent and very intense. Once she would have a hold of him it was nearly impossible to get her to let go. I started becoming very scared of her, this dog I waited for for so long. My husband and I were beside ourselves. What went wrong?? What had we done or not done? Why was she behaving this way? My Lab had gotten to the point that his best friend had turned on him. If she came into the room he would cower and hide behind me. Or he would immediately leave the room. No more best of friends here. The final straw was in Feb of 2009. It happened again. She went after him. Grabbing him by his front leg and “chewing “on it. Nothing I did got her to let go. I am not proud of the things I have done in attempt to get her to let go. I screamed, yelled, pushed, pulled, hit, punched and even kicked at her. In a desperate attempt to get her off my Lab I grabbed her by the scruff of the neck. BIG MISTAKE. She whirled around and in her frenzy she bit me. Then went right back after my other dog. I finally managed to get her off him and it took several minutes to get her to calm. Like 45 to 50!! 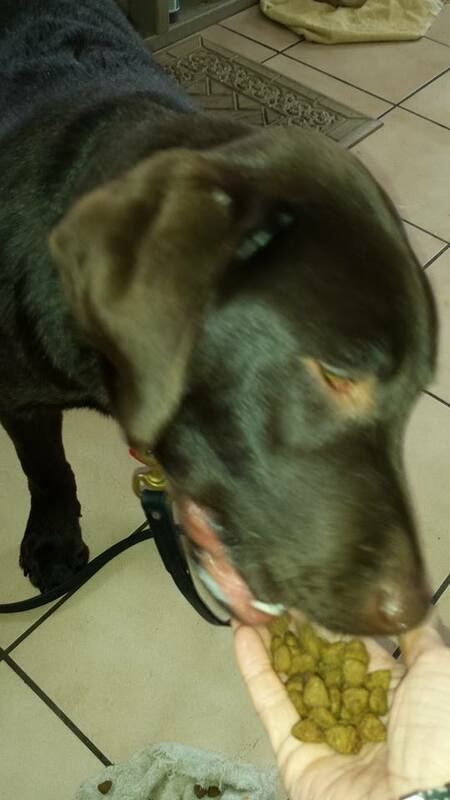 I took one look at my Lab's mangled front leg and knew we were in way over our heads. She had torn his front leg wide open. After a heart wrenching discussion with my husband, he and I came to the conclusion that we had to do something. I was loosing the trust I had in my dog. I shuddered when she came into the room for fear of an attack. I also feared for my other dog, let alone a small child in the neighborhood. What if this happened to someone's child? My husband couldn't bare the thought of someone else having her and I couldn't live with myself if we gave our “problem” to someone else and something horrific happened. We honest and truly contemplated having her put down. As much as it would break my heart I couldn't see any other way. After speaking to our vet about our decision he urged us to not act hastily. To talk to a woman he knew before we acted out of desperation. He said she had had very good success with dogs with a variety of behavioral issues and she might be able to help us, or at the very least give a clue as to what the problem was. 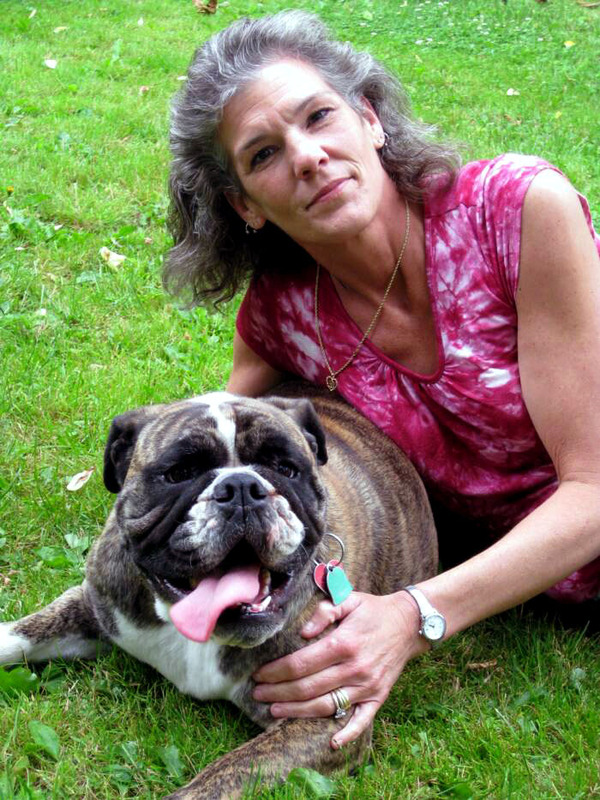 Her name was Lisa Mawson of Canine Culture CNY. I thank my lucky stars every day that we listened to our vet. Lisa came into our home and was able to show us what some of the problems were. She could see what we couldn't, the triggers. Even thought we couldn't see them they were right there in front of us. You just had to know what to look for. Once Lisa showed us what to look for, she also gave us the tools we needed to head of the attacks. She showed us what WE had to do for our dog to make her happier and healthier. She gave us some powerful advice and best of all she gave us hope. Hope that we could fix this, that it was manageable. Hope that we could reign in Loo's aggression and make her a part of our family once again. Trust her again. Loo's major problem was redirected aggression. She could keep it in check for a while, but when it came out... watch out! Lisa worked with us as a team in a way we could understand. She advised us to get her exercising, walking to get some of that pent up energy out of her. Lisa told us about a sport called weight pulling, for dogs. More specifically as a form of conditioning and resistance training. Let me tell you! !Now she also does light drag weights a couple times per week. Loo has found a job!! A good job. One that allows her to spend that energy in a positive manner. Weight pulling and all the other tools that Lisa had given us has done wonders with our dog. She is better mannered, less excitable, more controllable, walks like a dream on a loose leash, relaxed and layed back. And above all, HER AGGRESSION is in check. We have had no other incidents since we have started working with her on a daily basis. Make no mistake, it is not a miracle cure. It is hard work, and she does “test” and “push buttons” now and again. But no attacks to date. She is our Lab's best friend again, my husband's princess, and she has earned my trust. She is happy, healthy and at peace. Not only has she found her place in our hearts and our home, but she KNOWS her place. There is a difference. On a final note, Lisa~~ thank you. From the bottom of our hearts, for giving us what we needed, and what we needed to do. And to my dog... WELCOME BACK SWEET BABY LOO! Quincy is a Border Collie, he came to us as a very shy, scared dog. He had no self worth what so ever! People were to be feared. He had never been off a tie out, nor had he seen open space! He would run from the perceived threat and would urinate on himself. We have other dogs who are friendly to other dogs but they immediately recognized that Quincy was to be the lowest of the low! When I 1st saw him he was so scared he could hardly walk. He had the look of a dog that has seen hard times! But he still remained a friendly soul. He has been at the farm for 4 yrs. He had come into his own, discovered freedom to run and be free (physically) but not really....he still was the low one...still timid and scared..never would he stand up for himself to anyone, person, dog, cat, horse, or chickens! A good friend of mine suggested that I try taking Quincy to weight pulling. She felt it was worth a try to see if he could find his place. I pooh poohed it for several long months....I was discouraged for him! Then I got in gear and gave it a try in September (2010). At 1st he was the scared Quincy - he could not even stand to have the cart hooked to him from behind. By the 2nd practice he was a changed dog. His tail wagged... in public! I was overjoyed to see him peek out of himself! On his 3rd pull he got to try the Nov class..at the real thing. [an IWPA sanctioned competition] He wagged his tail, dragged me into the building (instead of to the truck), thrust his head into the harness and then got a 1st place! He now has his own harness and most importantly his self worth! So much so that the order at home has shifted... Quincy is no longer the scape goat! I am so happy for him and for the fact that he can now start to really live and experience the nicer side of life! This dream of mine for Quincy never would have come to fruition if not for the opportunity we had at Canine Culture to weight pull. If anyone had told us we could have control on our dogs a year ago, we would never have believed them. Working with Lisa to build a stronger more positive relationship with our dogs has been nothing short of a wonderful experience. In only one session each, we saw our two (yes, two) problem children, well behaved and under control. This happened with nothing more than a no non-sense approach to recognizing needs based in their personalities individual behaviors. There was no form of physical correction, no snapping the leash, no choke collars, no reprimanding, absolutely no negative forms of intimidation. I was, and to this day, am still, amazed! All Lisa's techniques are based on balanced training, understanding learning, and positive reinforcement. Reward the good behavior. 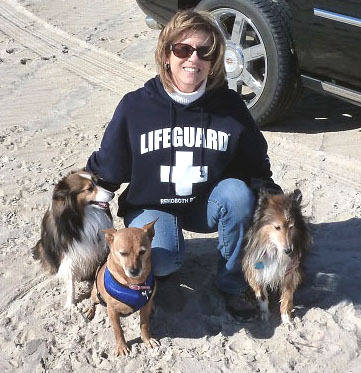 We started working with Lisa because two of our three dogs have issues with fear and anxiety. Tara, our mixed breed had become aggressive toward both people and other animals. I thought she was just being protective of me. Our youngest sheltie, PJ, became hyper, barking uncontrollably and spinning himself in circles. I thought these were sheltie (or herding?) traits. Lisa explained to us that it was due to anxiety. We had tried for years to regain control yet no matter what we tried to do, our efforts were not successful. This left us even more frustrated. We eventually stopped exposing them to situations that would bring out this negative behavior, so their outings became very restricted and minimal. It just got to be too much to deal with, even though we knew that by taking away that exposure, we were actually adding to the negative behavior. It was just easier. We were up against a wall because we take them everywhere with us, they are very well traveled dogs. Now we found ourselves leaving them home more on day outings or back in the hotel room when we took trips. This is definitely not how we wanted our companions, or us for that fact, to live. Our original plan was actually for PJ to go to Lisa, but decided after seeing so much change, so quickly, in him... that maybe Tara would benefit as well. I ended up taking Tara the first time for a one-on-one session with Lisa. Little did I know what a life changing experience it would turn out to be. Yes, I said life changing! Mostly for me! Turns out, I was the one who needed the training not my dogs! Lisa has a wonderful no nonsense, tactful method of maintaining control of the dogs. Had I not seen this myself, I would never have believed it. It was so simple, all this time that THIS was all it would have taken? It was then I realized that my emotions travel directly down the leash and into them. So come to find out, it wasn't the dog that had the problem, it was me. By the end of our session, Lisa had turned our relationship from head-butting to teamwork. I cannot put into words what a great feeling that was. One just has to experience it. We continued on with our training on our own, it was a joy. Then we decided to try the weightpulling that Lisa offers. Once again to our amazement, our dog was a confident, happy dog! We walked in to a room full of strangers and dogs and her behavior was perfect. Here was a dog who would have lunged at any stranger or animal that crossed her path, and she didn't make a sound, entered with ease, and was content with her extremely unfamiliar surroundings for the remainder of the day! She did well with pulling too. The next day I took her to our camp for a walk in totally unfamiliar territory (we just got it) and I walked her on an unfamiliar dirt road where there are many scents for her to follow and explore. She stayed right by my side, never pulled once. Again, I was so amazed that I looked down at her and asked her "who are you and what did you do with Tara?". I had never enjoyed her as much as I did that day I felt like the entire dynamics of our relationship had changed and it did, with me doing most of the changing. Now PJ was a completely different situation. He is our screamer. Yes, that is what I said... he doesn't just bark, he screams. It is enough to give anyone, without a strong heart, a heart attack when he does it unexpectedly. Which is pretty much all the time. He was actually the one we were most concerned with when we first spoke to Lisa, so I took PJ for a private session with first, and once again, another dog, another tantrum. But after applying what we learned, PJ was walking like a show dog! The change was so fast! I could hardly believe my eyes. Lisa also suggested we try the weightpulling. We had never heard of this, but thought it would be worth a try. We went out and bought (a properly fitted harness, and) a plastic sled, and PJ now has his outdoor chores, picking up sticks, helping me plant flowers. I hook him up and he goes to work. His attention is focused and he is working! Serving a purpose. The transformation is incredible! It took all that energy and instead of releasing it in a negative way (screaming and spinning), he releases it through working. And at the same time is building his confidence. Distraction, positive reinforcement and a sense of purpose, we found, are the best forms of training. And that is exactly the theory Lisa uses in her classes. I had looked for 2+ years for this type of training, something that went beyond the normal "sit and stay" methods. 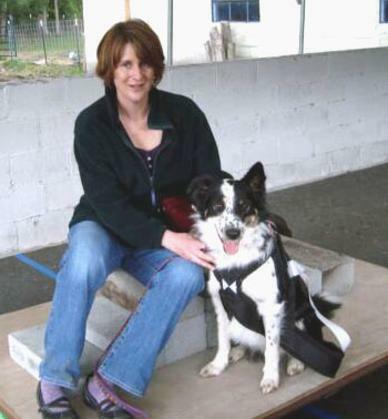 Lisa works with personalities, yours and your dogs to build a strong dynamic working relationship where they aren't just little robots that do what you tell them, they can do it with enthusiasm and pride. You can see it in their eyes. I only wish I had found her 10 years ago! The other thing that amazes me is that even if I slack in their training and they start to act up, when I start to reinforce the positive behavior, they pick it right up. I know... they are just furry children who will say, "Hey, we got away with that! Now lets try this!" I can’t thank you enough for your work with us and our English Lab, Grady. When we brought him to you he was having trouble with impulse control and would not let us pet him. He was jumping and grabbing people and things. We were having a hard time walking him. After using the techniques you taught us and approaching him with presence and intention as you suggested, we have a very different dog! His impulse control is much improved and we enjoy petting and even cuddling with him. He walks beautifully with the Halti you recommended. He loves weight pulling which helps drain his high energy. 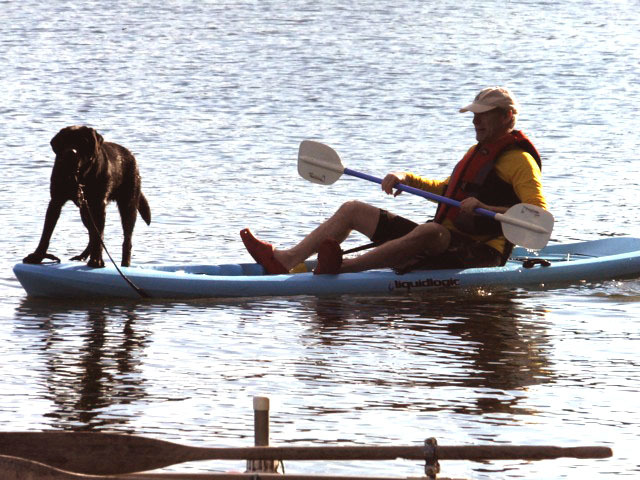 We have great fun with him in the water and he even enjoys riding on the stand-up paddle board. He is funny, playful and more and more becoming the “dog we always wanted”. Your teachings provided an understanding of what he experiences, resulting in a critical shift in our relationship and his behavior. We are most grateful to you, Lisa. I have been a dog groomer and owned my own business for over 30 yrs. I owned a dog day care as well. I have fostered over 200 dogs in my life. I have handled all different breeds of dogs and owned many different breeds as well. 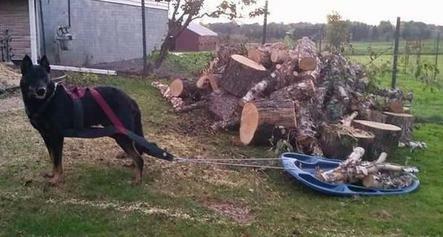 I bought my Beauceron , Sledge, in 2009. He has always been very high energy, nervous and shown a lot of fear. I socialized him from the moment I brought him home. He traveled to horse shows, went camping and I brought him to work with me every day. He played at the daycare a couple times a week. I talked with a several different trainers and tried their suggestions . Sledge was very people fearful , very nervous . I felt bad for him, but so far nothing I did helped him cope. This is a dog that went everywhere with me. SO, after taking a foster dog to Canine Culture to do weigh pull just for the fun of it, I asked Lisa if I could do a private lesson with Sledge. The day came , we put a harness on him and hooked him to a plastic sled for him to drag in the driveway, just to see how Mr. Nervous would react. From the moment he started dragging that sled, HE was hooked!!! He LOVED it !!!! He started moving forward, head up, and tail just a wagging. I literally started crying, just to see him so relaxed . Lisa also gave me some GREAT direction on how to address his fearfulness (he was not nice to new people). Her recommendations have worked wonders. I now hook Sledge up and we do yard work together, he loves it, it helps to drain his energy better than a run (that seemed to pump him up). I think weight pull is a great way to calmly drain excess energy from a dog. I love Lisa's style and her approach to it. Its always about what is best for your dog. 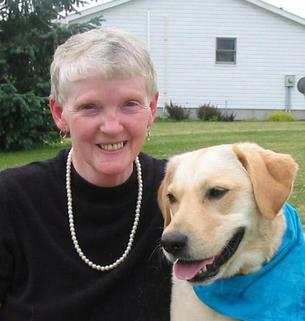 She puts safety first and will help anyone and their dog achieve their needs to live happily. After having the privilege of meeting Lisa Mawson when she helped me with my Beauceron, Sledge I decided to seek help with a foster dog. I belong to Kindred Spirits Greyhound Rescue. We, as a rescue, had a chance to help 9 dogs from a breeder situation . In that group of dogs there were 3 chocolate labs puppies, about 5 monhts old that had had very little human interaction or contact (essentially feral). One of the puppies, Willie, was very very shut down. He went to a foster home and was there about a month, hoping their other dogs would help him come out of his shell. Progress was not being made. The foster family did him NO harm, but just did not know what to do to help him. His case was severe. So, I called Lisa and asked if she would come help. Willie at this time would hide in his crate and not come out, if he did and you even looked his way he would run back in and hide. He had not been outside yet to use the bathroom (in his life), because he was to terrified to go out. When Lisa came, he came out of the crate and we shut the door behind him, he then moved to the living room and wedged himself between the couch and coffee table, with hind crouched, his front legs on his elbows, and head turned toward the couch. Frozen, he did not move, not even to move his eyes to peek to see what was going on. Lisa said he was most likely the worst case she has seen. She spent 3 hours with us and Willie that night showing us what to do for him. It was decided that I had the best set up and the most time to dedicate to Willie's needs. I brought him home the next afternoon. I did exactly what Lisa told me to do. Exactly. And 1 week and 1 day later Willie and I were walking on a leash in a big department store. Three weeks after that night, with continuing to do what Lisa said, Willie was adopted and went to live in his forever home. I have had up dates from his Mom and it is all good. Lisa knows her stuff , I would highly recommend her. 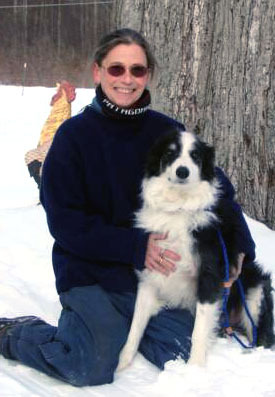 I am a groomer of 30 plus years, owned a dog day care, and have handled many many dogs. Sometimes you just need help and Lisa is my go to person. Thanks for you time. I would like to say this is what I would call a normal rate of progress in most animals. But it is NOT. I might add that this young dog was the most extreme case of completely shut down fear I have dealt with to this date. Karen's success in rehabilitating this dog so quickly, and significantly, was not just due to my techniques, but also to her extreme attention to detail and the diligence required for this case. Although I did expect progress I have never seen so much so quickly. I am very happy this pup got his forever home and he now appears normal, happy and healthy. His previous state of emotion would have made it extremely difficult to adopt him out and he would have lived a very unhappy stressful life. Good job Karen! I initially consulted Lisa Mawson at Canine Culture regarding my one year old Pekinese-Chihuahua Mix with no prior history of aggression. He had snapped at me three times when I had tried to move him in the weeks prior to my contacting Lisa. At around the same time, while walking on public trails, Oz would become dog aggressive. He primarily targeted larger dogs. It was so embarrassing! I contacted some people familiar with dog training who dismissed his behavior as “Small dog Syndrome.” His behavior was escalating and I did not want my dog to be like this. If he had been a large breed dog, we would not be allowed to walk on the trails! Lisa first met with me and Oz. We discussed what was happening in different situations. She provided me with easy, positive techniques which made an immediate impact on our lives. Oz has not snapped at me since our first meeting with Lisa! A significant revelation at that first session was that Oz’s behavior was being negatively impacted by my relationship with my second dog, Taylor, a seven month old Cavalier King Charles Spaniel-Bichon mix. I explained to Lisa that Taylor had chronic ear infections, gastric issues, was a bully towards Oz, had obsessive behaviors, did not like to be petted, and was a “Drama Queen.” I was resigned to the fact that, that this was Taylor’s permanent personality. Lisa assured me I would see improvement in all areas of Taylor’s behavior—I was skeptical. Our follow up sessions were conducted with me and Taylor (Oz stayed home.) Again, through simple techniques for both Taylor and Oz we worked on addressing her behavior, and building our relationship. During the week following Taylor’s first session she had a treatment scheduled at her veterinarian’s office. The vet tech. working with Taylor, without knowing of her training at Canine Culture mentioned the improvement in Taylor’s behavior and confidence! Since then, Taylor has also tolerated her first grooming without drama! Most importantly, Taylor now comes to me looking for affection and attention, her obsessive behaviors have significantly decreased, and she has successfully been introduced to weightpulling to increase her focus and help decrease her anxiety. The change in my dogs’ behavior has been noticeable by me and others after each training session. Both dogs now consistently respond to basic commands, and walk on a leash without pulling. We can now walk along a roadway, where it was unsafe and impossible before. Oz continues to do well collaterally! He is no longer aggressive towards other dogs during our walks, and is overall much more relaxed. My dogs have a life expectancy 12-15 years. I look forward to an enjoyable life with well behaved, affectionate pups! I feel this has been an investment in the quality of our lives. I always thought of myself as fairly knowledgeable about dogs. That was before Nala came into my life, when she was only 6 weeks old. We brought Nala home to 2 doggy sisters. We were counting on the older girls to show her the ropes and help her along the way. Nala had her own ideas. At around 6 months of age we started to notice Nala changing. On one of our many puppy trips to the vets she was anxious and frightened of everything that was going on around her. She hid under a chair and shook. Nothing unusual had happened, that we noticed, so we passed it off as a fluke. Maybe a bee buzzed her ear on the way in and we didn't see it. But this unusual behavior started to happen more frequently and got steadily worse. It got to the point where we could no longer take her to the park for a walk for fear she'd break the leash and attack another dog. The vets became a nightmare and she was quickly "labeled" as a problem child. We felt fortunate that Nala hadn't resorted to biting anyone or another dog but knew it could just be a matter of time. We knew if she felt cornered she would. We didn't want to take any chances so I asked my cousin. She had rescued a dog that had had some social issues and I knew she brought her to a trainer. I asked her if she had any trainers that she would recommend. She recommended Lisa and felt she'd be the best trainer for Nala. So on a chilly day in February of this year I called Lisa. We spoke for quite some time about all of Nala's issues and Lisa gave me a lot of feedback. I learned that some of Nala's anxiety and aggression was because I wasn't letting Nala know I would take care of her in the times when she needed it most. I wasn't showing her I wouldn't let anything happen to her and because of this she felt she had to take care of herself. I was failing her and it was a hard pill to swallow but I was determined to make it right. I wanted Nala to be ok. I didn't want her to feel scared or anxious anymore. So a month later, once it warmed up, we traveled out to see Lisa. Nala and I walked in there both feeling unsure, lacking confidence, me on the verge of tears and Nala terrified but I knew we were headed in the right direction. Over the last several months I have watched an amazing change take place in her. Of course there were times when she'd take a few steps back but we'd work through them. And she still has them but Lisa has given me the tools to help Nala. All of us have worked so hard to get her where she is today. I am excited to say that Nala no longer pulls on her leash while she's being walked. She stays right next to me. She doesn't feel the need to be the leader any longer. She also has her own weight pulling harness and sled. This has really helped her to focus more and be less anxious. I never would have thought it would have been possible for her to be in close proximity to any other animals but her sisters. Then she surprised me. We took a walk with a sheep and then a goat and she didn't bat an eye. She made eye contact and didn't feel threatened. I was so proud of her. Relief is starting to settle in. I finally see a happier, more confident and secure Nala. She has made amazing progress in the last 6 months and we owe it all to Lisa. I never, in my wildest dreams, thought when we walked through those doors the 1st time that Nala would be ok and have a chance. And I will forever be grateful to Lisa for giving her that chance.